What would you do if you suddenly didn’t have legal access to an herbal remedy or medication that you’d been using for years? This particular substance might be helping you deal with chronic pain, anxiety, depression, epilepsy, post-traumatic stress disorder (PTSD), cancer, or an autoimmune disorder. Maybe it is helping you kick addiction to a more dangerous drug. Perhaps your remedy of choice has greatly improved your quality of life. Maybe it has even saved your life. If – like me – you believe in the concept of self-ownership, you understand that YOU own your body. You know that no one is more qualified than you to decide how to run your life. The government and its agents certainly are not authorized nor qualified to tell you how to run your life, or how to manage your health. There are government agencies that are charged with protecting the public’s health, but do they actually fulfill that role? It doesn’t seem like it. Actions they take are – in many cases – harmful to us. One doesn’t have to look hard for evidence that the government does not truly care about public health – or individual liberty. The DEA’s refusal to remove cannabis from Schedule I, and it’s plan to ban kratom are two tragic examples. On August 11, 2016, the US Drug Enforcement Agency (DEA) announced – for the 4th time – that it would not reclassify marijuana. The plant will remain a Schedule I drug. Yeah, I know. It’s ridiculous. Cannabis will continue to share Schedule 1 status with heroin, LSD, and methaqualone (Quaalude). Drugs in this category are more strictly regulated than the powerful prescription painkillers that have killed more than 165,000 people since 1999. To understand just how absurd keeping marijuana under Schedule I is, take a look at the list of drugs that are under the less-restrictive Schedule II: oxycodone, methamphetamine, methadone, fentanyl, Adderall, Ritalin, Dexedrine, and…cocaine. The following drugs are listed under Schedule III: Tylenol with codeine, ketamine, and anabolic steroids. The “abuse rate” is a determinate factor in the DEA’s scheduling of a drug. The agency says that Schedule I drugs have a high potential for abuse and the potential to create severe psychological and/or physical dependence. As the drug schedule changes – Schedule II, Schedule III, etc., so does the abuse potential – Schedule V drugs represent the least potential for abuse. Yes, the DEA is actually claiming that cannabis carries a higher abuse rate than meth, oxycodone, and cocaine. And yes, the DEA is still clinging to their claim that cannabis offers NO health benefits, despite substantial evidence (both scientific and empirical) to the contrary. Despite the US government’s nearly century-long prohibition of the plant, cannabis is nonetheless one of the most investigated therapeutically active substances in history. To date, there are approximately 22,000 published studies or reviews in the scientific literature referencing the cannabis plant and its cannabinoids, nearly half of which were published within the last ten years according to a key word search on the search engine PubMed Central, the US government repository for peer-reviewed scientific research. While much of the renewed interest in cannabinoid therapeutics is a result of the discovery of the endocannabinoid regulatory system (which is described in detail later in this booklet), some of this increased attention is also due to the growing body of testimonials from medical cannabis patients and their physicians. A total of 17,465 people died from overdosing on illicit drugs like heroin and cocaine in 2014, while 25,760 people died from overdosing on prescription drugs, including painkillers and tranquilizers like Valium, according to CDC figures. To date, NO ONE has ever died of a cannabis overdose. Then why would the DEA keep the plant on Schedule I? Well, you see, the agency runs a “domestic cannabis eradication/suppression program” that brings in big bucks. Its purpose is to aggressively search for, seize, and destroy illegal marijuana grows across the US. In 2015, federal spending on the program was $18 million, which is consistent with levels seen in previous years. That works out to a cost-per-plant of $4.42. In 2015, the DEA continued its nation-wide cannabis eradication efforts, providing resources to support the 128 state and local law enforcement agencies that actively participate in the program. This assistance allows the enhancement of already aggressive eradication enforcement activities throughout the nation. In 2015, the DCE/SP was responsible for the eradication of 3,932,201 cultivated outdoor cannabis plants and 325,019 indoor plants for a total of 4,257,220 marijuana plants. In addition, the DCE/SP accounted for 6,278 arrests and the seizure in excess of 29.7 million dollars of cultivator assets. The program also removed 4,300 weapons from cannabis cultivators. In 2014, 4,300,833 plants were seized, 6,310 arrests were made, and the value of assets seized from “cultivators” totaled $27,342,950.59. Who pays the DEA to run around confiscating plants from Americans? States that have legalized cannabis for recreational use did not even escape the DEA’s greed. Last year, confiscation continued in Washington and Oregon. 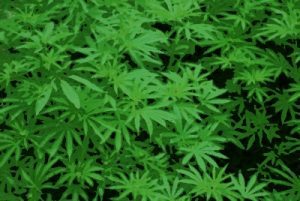 Full state breakdowns have not been provided, but a DEA spokesman said that just under 36,000 marijuana plants were destroyed in Washington last year at a cost to federal taxpayers of about $950,000, or roughly $26 per plant. For a detailed history of the prohibition of cannabis, please read Prohibition, Politics, and Profit: The Truth About Cannabis and Why Government Wants to Control It. The FDA has not approved any product containing or derived from botanical marijuana for any indication. This means that the FDA has not found any such product to be safe or effective for the treatment of any disease or condition. The FDA is aware that marijuana or marijuana-derived products are being used for a number of medical conditions including, for example, AIDS wasting, epilepsy, neuropathic pain, treatment of spasticity associated with multiple sclerosis, and cancer and chemotherapy-induced nausea. To date, the FDA has not approved a marketing application for a drug product containing or derived from botanical marijuana and has not found any such product to be safe and effective for any indication. Notice how they dodge the actual issue? The agency won’t ADMIT cannabis is safe and effective, but it won’t come out and say it isn’t, either. And why would they? After all, it’s a PLANT that nearly anyone can grow. The FDA doesn’t stand to gain the MILLIONS it does from each and every drug that goes through the agency’s outrageously expensive approval process. The FDA has billions of reasons – nearly 8 billion, in fact – to try to stop cannabis from being legalized. According to the American Pharmacists Association, the FDA has collected $7.67 billion in user fees since pharmaceutical manufacturers began paying the fees in 1992. You see, cannabis could replace a lot of pharmaceutical drugs, as the plant is showing promise in the management of health conditions including but not limited to Alzheimer’s disease, cancer, chronic pain, diabetes, epilepsy, gastrointestinal disorders, hepatitis C, HIV, high blood pressure, migraines, multiple sclerosis, Parkinson’s disease, PTSD, and rheumatoid arthritis. And because cannabis is so easy to grow (and easy to acquire pretty much everywhere), the FDA (and DEA, and the agencies’ Big Pharma pals) will likely experience a serious revenue drop when the plant becomes more widely used. A study published in the journal Health Affairs revealed that, in the 17 states with a medical marijuana law in place (by 2013), prescriptions for painkillers and other classes of drugs fell sharply compared to states without legalized medical marijuana. In medical-marijuana states, the average doctor prescribed 265 fewer doses of antidepressants each year, 486 fewer doses of seizure medication, 541 fewer anti-nausea doses and 562 fewer doses of anti-anxiety medication. The most intriguing finding? The typical physician in a medical marijuana state prescribed 1,826 fewer doses of painkillers in a given year. Oh, and the researchers ONLY used Medicare Part D for their study, which is used by seniors – the demographic least likely to consume marijuana. But hey, guess what? Guess what the FDA HAS approved? The FDA has approved Marinol and Syndros for therapeutic uses in the United States, including for the treatment of anorexia associated with weight loss in AIDS patients. Marinol and Syndros include the active ingredient dronabinol, a synthetic delta-9- tetrahydrocannabinol (THC) which is considered the psychoactive component of marijuana. Another FDA-approved drug, Cesamet, contains the active ingredient nabilone, which has a chemical structure similar to THC and is synthetically derived. Marinol is made by Big Pharma giant AbbVie Inc…a company that has spent $4,300,000.00 so far on lobbying in 2016. While Marinol may be a good option for those who need it and cannot obtain natural cannabis, there are several disadvantages to the drug. Patients have reported that the relief that Marinol provides is limited, the drug is expensive, and it does not contain all of the beneficial compounds found in natural cannabis. Insys Therapeutics makes Syndros, and has another product listed simply as “Cannabidiol” in development for the treatment of severe pediatric epilepsy. Insys also makes the controversial synthetic opioid drug fentanyl, which is a potent painkiller that is 50-100 times stronger than morphine and is significantly more potent than heroin. Last year, the Centers for Disease Control (CDC) issued an alert about fentanyl overdose deaths. Oh, and Insys recently donated $500,000 toward defeating a ballot initiative that would make recreational use of marijuana legal under Arizona law. That’s a bit funny, coming from a pharmaceutical company that is currently facingstate and federal investigations, as well as a shareholder lawsuit, over allegations that it improperly marketed fentanyl to doctors in an effort to boost sales. In February, a former sales rep for the company pleaded guilty to fraud charges stemming from a kickback scheme involving Subsys fentanyl purchases. Last month, two former employees pleaded not guilty after being arrested for participating in a similar fentanyl kickback scheme. In an emailed statement, Insys said it opposes the Arizona ballot measure, Proposition 205, because marijuana’s safety hasn’t been demonstrated through the federal regulatory process. Translation from Big Pharma-speak to No-BS-speak: Insys hopes that lawmakers and the FDA and DEA continue to keep natural marijuana out of the public’s hands so the company will benefit financially from sales of its competing products. Last year, the company petitioned the DEA to loosen restrictions on the synthetic version of another compound occurring in marijuana plants, known as cannabidiol (CBD). I’m going to go out on a limb here and guess that Insys is probably just a tad bit worried that more people will use legalized marijuana for pain management instead of painkillers like its dangerous product fentanyl. And, it is probably safe to bet that Insys doesn’t want cannabis fully legalized because the plant is known to help people with epilepsy…and the drug company happens to have that pediatric epilepsy cannabidiol product in development. Studies have shown that marijuana can be effective at treating chronic pain, without the overdose risk or side effects that powerful opioid painkillers, like fentanyl, can bring. Other studies have found that opioid overdose deaths fall in areas with access to medical marijuana, reports WP. The crusaders against weed constitute a long list of suspiciously self-interested folks. Lobbyists work hard to secure for police departments millions of dollars in federal grants towards eradicating weed. Pharmaceutical companies compensate leading anti-marijuana researchers in order to keep their customers on painkillers over cannabis, which is cheaper. The prison-industrial complex would like to keep making money on building more prisons to fill with non-violent grass-smokers. The alcohol and beer industries have also lobbied for years to keep marijuana illegal because they fear the competition that legalized weed would bring. Insys recently was granted “fast track” approval from the FDA to develop a drug to treat…wait for it…opioid overdoses! Kratom is abused for its ability to produce opioid-like effects and is often marketed as a legal alternative to controlled substances. In addition, kratom has a high potential for abuse, has no currently accepted medical use in treatment in the United States, and has a lack of accepted safety for use under medical supervision. DEA is aware of 15 kratom-related deaths between 2014 and 2016. Fifteen deaths. Compare that with the estimated number of deaths from prescription opioids in 2014 alone: 19,000. And, the DEA’s claim that deaths have been linked to the plant is dubious: Most deaths associated with kratom have occurred in people who reportedly tested positive for numerous substances or were suffering from pre-existing medical conditions. Users report that consuming too much kratom will only lead to nausea and vomiting, which can prevent overdose, reports The Huffington Post. The DEA’s claim that it intends to ban on kratom to “avoid an imminent hazard to public safety” is odd, considering the plant is not widely used as a recreational drug: It is mainly used by people who are trying to manage pain, alleviate depression, and overcome opioid addiction. “Kratom is a natural botanical native to tropical Southeast Asia that is part of the coffee family. It’s also known by its scientific name, Mitragyna speciosa. The people of Southeast Asia have used Kratom leaves as an herbal supplement and traditional remedy for hundreds of years,” reports the website of the American Kratom Association. The plant is a natural analgesic which is used to safely alleviate pain, combat fatigue, and help with the effects of anxiety and depression. While kratom is NOT an opiate, it contains alkaloids that appear to activate opioid receptors in the brain and reduce pain. And although most opioids have sedative qualities, low to moderate doses of kratom act as a mild stimulant. Reports of its use as an opiate substitute date back to 1836. Adverse effects are similar to opioids, including nausea, vomiting, constipation, respiratory depression, itching, sweating, dry mouth, increased urination, anorexia, and palpitations. Possible neurological effects include hallucinations, psychosis, seizures, and agitation, according to a study published in the journal Pharmacotherapy. Serious toxicity is rare and usually involves relatively high doses. Kratom may be addictive, but it is mild compared to opiate addiction, and doesn’t seem to last as long. The DEA’s war on kratom could not have come at a worse time: As we discussed earlier, opioid addiction and overdose deaths are increasing year after year. Kratom has been used successfully to fight the agonizing withdrawal of opiate addiction. Or, perhaps, the timing is no coincidence: Increasing awareness of kratom makes it a not only a potential competitor to pharmaceutical painkillers, but also to Big Pharma drugs that are used to treat opioid addiction. Remember, our buddies at fentanyl-pushing pharmaceutical company Insys were recently granted “fast track” approval from the FDA to develop a drug (that contains buprenorphine and naloxone) to treat opioid overdoses. There haven’t been many studies on kratom, but scientists who have been conducting research on the plant say it has potential as a safer alternative to prescription painkillers and opiate addiction treatment drugs like Suboxone (which has been linked to deaths and addiction itself, ironically) and methadone (which is also highly addictive and has been caused many deaths). Dr. Edward Boyer, an emergency medicine physician and toxicologist at UMass Memorial Medical Center and Boston Children’s Hospital, told STAT he’s been curious about kratom since 2005, and wanted to study the plant. But getting government funding for research was challenging, he said. In 2008, he and two colleagues wanted to start a clinical trial on the plant, but didn’t submit an application because it would have been“a bureaucratic nightmare” to go through the FDA approval process for the trial. Since the DEA announced it intends to place kratom under Schedule I, a growing number of testimonials from users are emerging. Many people have come forward to say they’ve been using kratom for pain, anxiety, depression, fatigue, migraines, opiate withdrawals, kicking heroin and opiate addiction, PTSD, and insomnia. “Congress has oversight over the DEA and has the responsibility to question the agency and its actions. As of the time of this writing, kratom is legal in most states, but a few have banned it (including Alabama, Indiana, Tennessee, Vermont, and Wisconsin), and legislation to ban the plant has been introduced in some states, according to the American Kratom Association’s website. A petition to stop the DEA’s threatened action on kratom has surpassed 100,000 signatures, which means the White House will have to respond to it. Unfortunately, this is not expected to happen before kratom is newly classified at the end of this month. It will then remain Schedule I for two years, allowing the government to settle on a more permanent classification. I suspect that, like cannabis, once kratom is placed under Schedule I, it will never be removed or moved to a less restrictive category. If you’d like to take action to try to save kratom, please check the American Kratom Association’s website for events and updates. The Fascinating Evolution of a Club Drug: Could Ecstasy Cure PTSD? Nutritional Anarchy makes no representations, warranties, or assurances as to the accuracy, currency, or completeness of the content contain on this website or any sites linked to or from this site. Nutritional Anarchy may offer health, fitness, nutritional, and other such information, but such information is designed for educational and informational purposes only. The information contained on the site does not and is not intended to convey medical advice and does not constitute the practice of medicine. You should not rely on this information as a substitute for, nor does it replace, professional medical advice, diagnosis, or treatment. Nutritional Anarchy is not responsible for any actions or inaction on a user’s part based on the information that is presented on the site. Lisa Egan has been passionate about nutrition and fitness for over 20 years. She holds a Bachelor of Science in Health Sciences with a minor in Nutrition. Lisa has managed two medically supervised weight control centers, worked as a personal trainer and wellness educator, and is a Precision Nutrition Level 1 Certified Nutrition Coach. She is the owner of Lisa Egan Nutrition Coaching and the website All About Habits. Lisa enjoys helping people improve their health and is dedicated to keeping up with the latest research in nutrition science and behavior change psychology. You can contact Lisa via email at lmegan02@gmail.com.